Robert, a Visiting Professor in Mathematics at Aston University, started his talk on September 16th by admitting that he – perhaps like most of the audience – found probability a boring and difficult subject at school. Only years later did he begin to realise that it held the key to understanding the effect of chance, randomness and uncertainty - of which there’s no shortage in our lives. 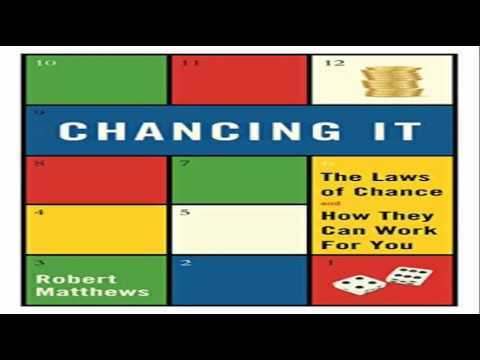 As an academic, Robert has focused on using the theory of probability to understand such things, and earlier this year published Chancing It, a popular-level book on the subject. To show the power of even the simple rules of probability, Robert took us through the strange tale of Futility, a short story by the American author Morgan Robertson published in 1898. It describes how the story’s hero signed up to join the crew of the world’s largest ship on its maiden voyage across the Atlantic. All went well until the ship – described as “unsinkable” – struck an iceberg on the starboard side and began to sank. Only then did the passengers discover there were insufficient lifeboats for all on board, and there was huge loss of life. 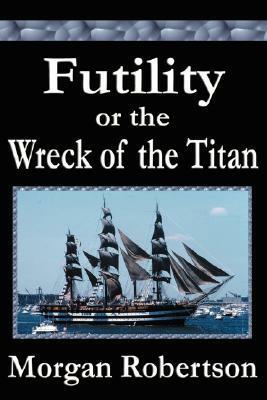 The parallels with the sinking of RMS Titanic 14 years later are obvious but, as if this wasn’t spooky enough, Robert added that the story had a sub-title: “The Wreck of the Titan”. The coincidences didn’t stop there, either: the length, tonnage, number of propellers, and even the side struck by the iceberg described in the book were all eerily similar to what happened in 1912. Robert then took us through this apparent example of clairvoyance using basic rules of probability – such as the much greater chance of events happening if they appear independent of each other, but aren't. For example, given that the story focused on the world’s largest ship, it had to be at least as big as any ships in the 1890s, and these were already exceeding 600 ft. So the fact that the Titan was – like RMS Titanic – over 800ft long is no longer so surprising. The similarity in length then leads to similarities in tonnage and number of propellers simply for consistency – and thus aren’t independent of each other. As for the name, the world’s largest ship is far more likely to be called, say, SS Colossus or Leviathan than SS Midget, and Titan is among just a handful of appropriate names. Having shown how we can be fooled by events that seem independent but aren’t, Robert went on to describe other causes of freak events – like simply giving rare events lots of opportunities to occur. England cricket captain Nasser Hussain lost the toss 14 times on the trot – a 1 in 16,000 event. But as Robert pointed out, Hussain had an extensive career in first class cricket giving him lots of opportunity to experience such a “run”. Add in all his counterparts in all the other teams in other countries down the years, it's clear that this apparently amazingly rare event was always going to happen to some top cricketer eventually; it just happened to be him. Robert then went on to explain a simple coincidence-based bet that anyone watching a football match can have with a friend: "I bet you there's a pair of players on the pitch with birthdays within a day of each other". With 22 players and 365 days, this would seem a fairly long shot. But Robert pointed out we’re overlooking the fact that those 22 players lead to 231 different comparisons of birthdays - greatly increasing the chances of getting a coincidence. In fact, according to Robert, probability theory shows that the chances of the bet paying off are almost 90 per cent. He then went on to demonstrate it using the real-life matches between Manchester United and Manchester City, and Celtic and Rangers which – by coincidence – both took place on 10 September this year. After some advice about how to make money gambling (best summed up, perhaps, as “don't even think about it”), Robert took us to the frontiers of his subject, and how a result called Bayes’s Theorem is at the heart of a major scandal now running through science. This bit of maths allows us to work out the chances that a theory is correct, given the data gathered by researchers – and as such is crucial to the scientific enterprise. However, Robert explained that the theorem has provoked huge controversy, because it seems to allow subjectivity into the scientific process. Attempts have been made to avoid this, and these have become the standard techniques used by scientists to decide if a new result is “significant”. 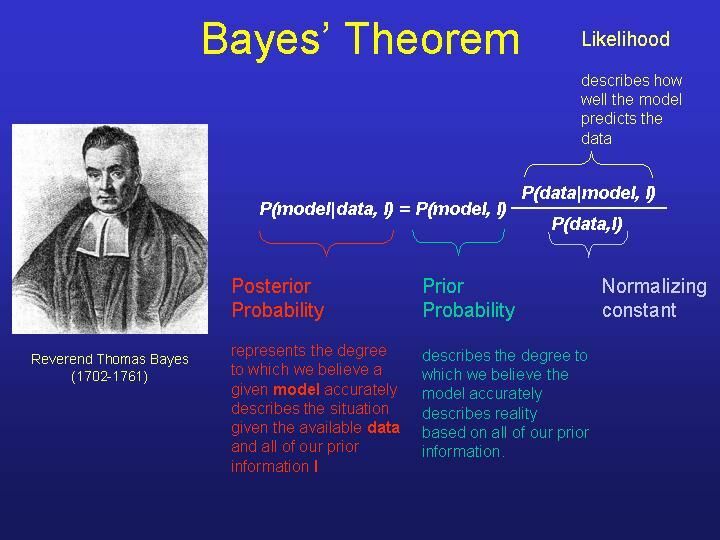 Robert pointed out that many statisticians have tried to warn scientists that these attempts to dodge Bayes’s Theorem are deeply flawed, and likely to lead to “discoveries” that are really just fluke results. Robert added that he was among those issuing warnings of trouble ahead for science back in the 1990s, in both academic journals and the national media, but to no effect. However, it seems this is now changing. Robert ended his talk by showing recent reports in leading research journals about the many headline-grabbing “breakthroughs” based on the flawed techniques are indeed turning out to be meaningless flukes. Robert’s advice to those of us unsure of whom to believe any more was simple enough: “Don’t panic: there is a way forward – and it’s in my book”. 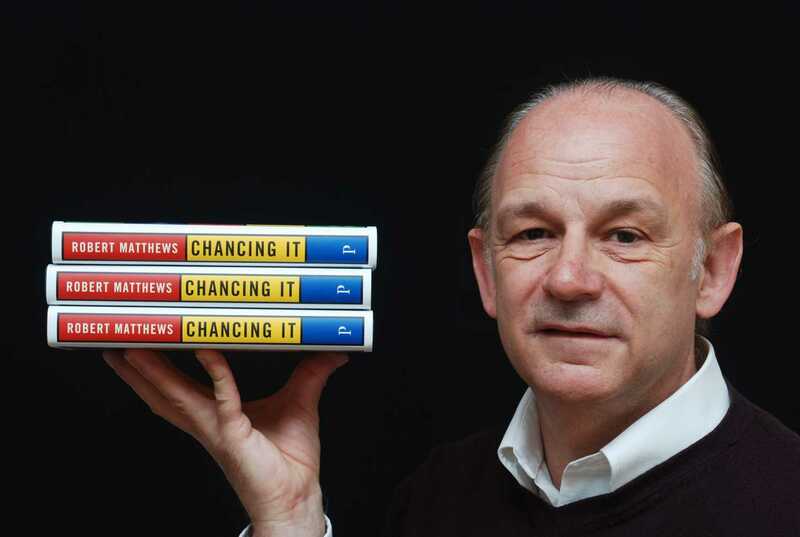 Over 120 people packed the hall, captivated by his insight, and Robert sold many copies of his book, Chancing It.